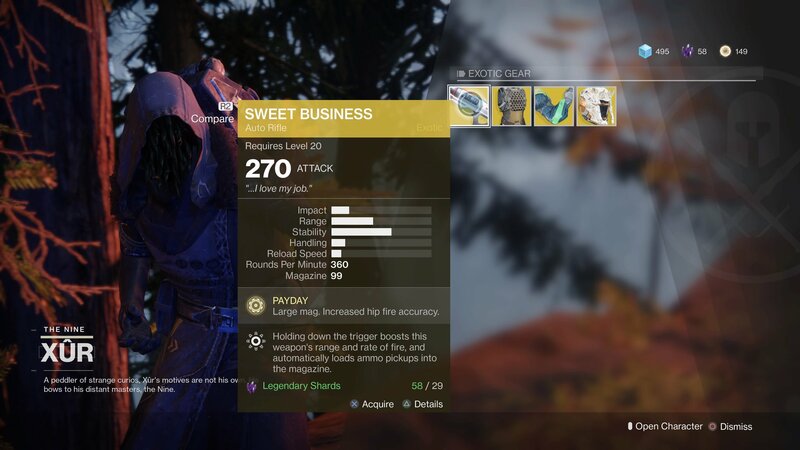 The most elusive Destiny 2 merchant of them all regularly offers the best rewards, with players flocking to the location of Xur each and every week. In this Destiny 2 Xur guide, we'll be detailing the various Xur locations at which the merchant from The Nine has appeared in the past, as well as his inventory of Exotic gear. For all other things Destiny 2-related here on USgamer that aren't to do with Xur, make sure to go check out our Destiny 2 guides walkthrough hub, including a complete list of every character subclass and ability in the game, as well as a walkthrough of every Strike in the game. The main thing you need to know about Xur is that he's extremely elusive. He'll only appear at the weekends (Friday through to Monday), and only in one specific location in Destiny 2 at a time. This means that he could potentially be anywhere on any given weekend, which means we'll be adding a different Destiny 2 Xur location section to this guide each and every weekend. As part of the changes to Destiny 2, announced by Bungie on November 29, Xur will be undergoing some changes over the coming month. 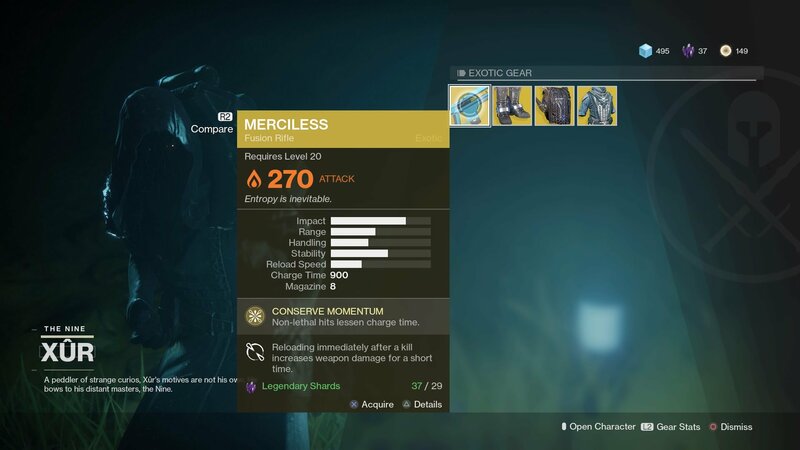 Every time Xur reappears in Destiny 2, you'll be able to trade a certain amount of Legendary Shards for a new Fated Engram, which will reward players with a brand new Exotic weapon or armor item that they don't already own. 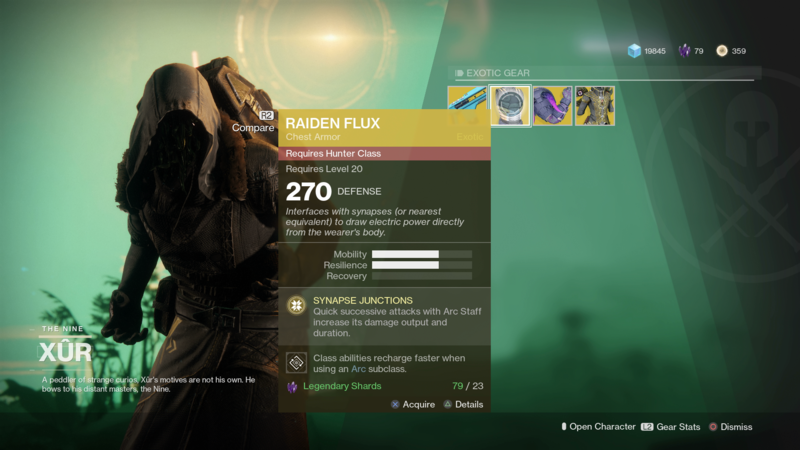 This new update to Xur, which is now live in Destiny 2, is aimed at improving the amount of duplicate Exotics that most players seem to be obtaining through Xur. We'll have more news regarding the changes to Xur that are incoming as soon as Bungie announces anything. In this section of our Destiny 2 Xur location guide we'll keep an archive of where Xur has been and what he has sold. This week on March 23, Xur can be found on Earth, just north of the Winding Cove landing zone. 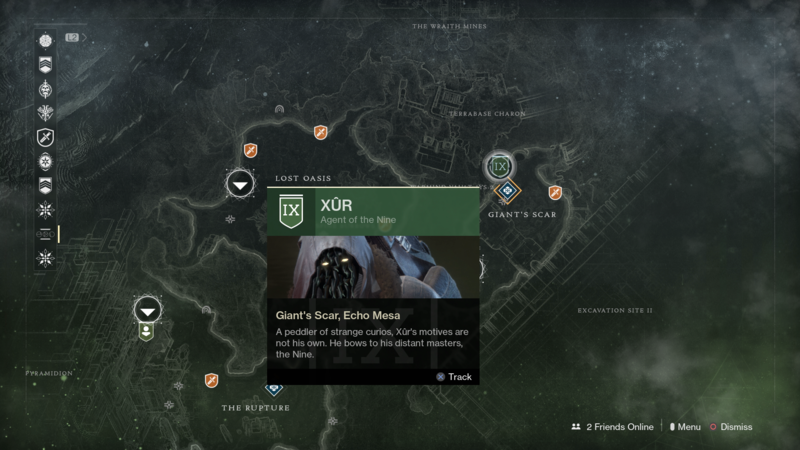 On March 16, Xur can be found on the planet of Io, right around the Giant's Scar landing zone. For March 9, Xur is back on the planet of Nessus! Destiny 2's Xur can be found on the planet of Titan, just east of the Rig landing zone. This Friday, February 23, Xur can be found on the Traveler, in the hangar area. This Friday, February 16, Xur can be found on Earth, just north of the Winding Cove landing zone. 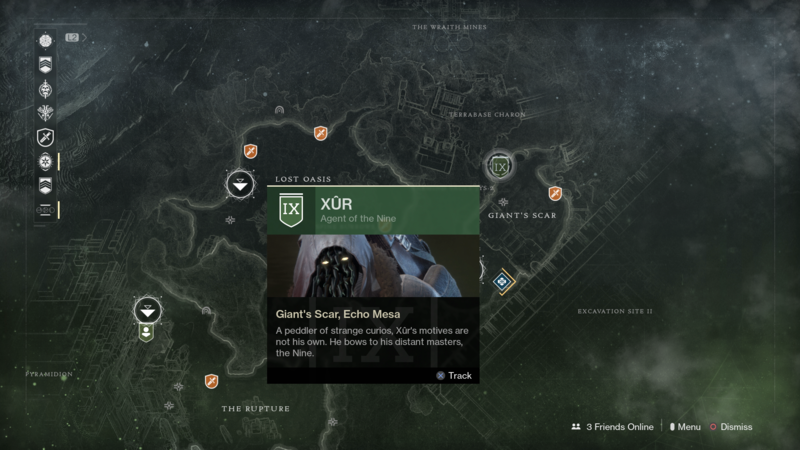 Xur is back as of Friday, February 9, and he can be found on Io, just a short distance north of the Giant's Scar landing zone. 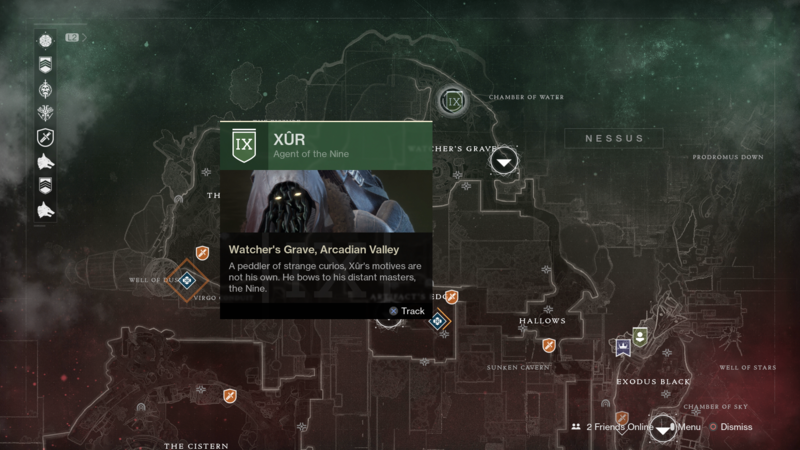 Xur is back as of Friday, February 2, and he can be found on the planet of Nessus, just a short distance from the Watcher's Grave landing zone. 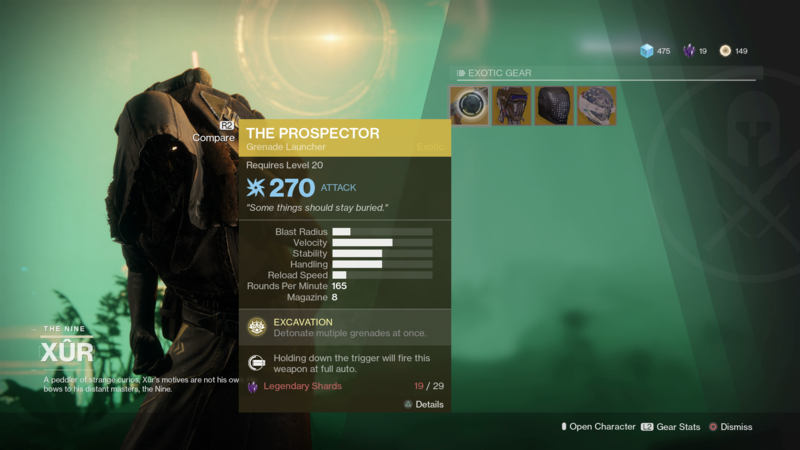 You can see the Exotic items that Xur is currently offering just below, although it should be noted that the final item on the list, the Ophidian Aspect, appears to require the Curse of Osiris DLC expansion in order to be purchased. Destiny 2's most elusive merchant is back once again as of Friday, January 26, and this time he can be located on the planet of Titan, just east of the Rig landing zone. 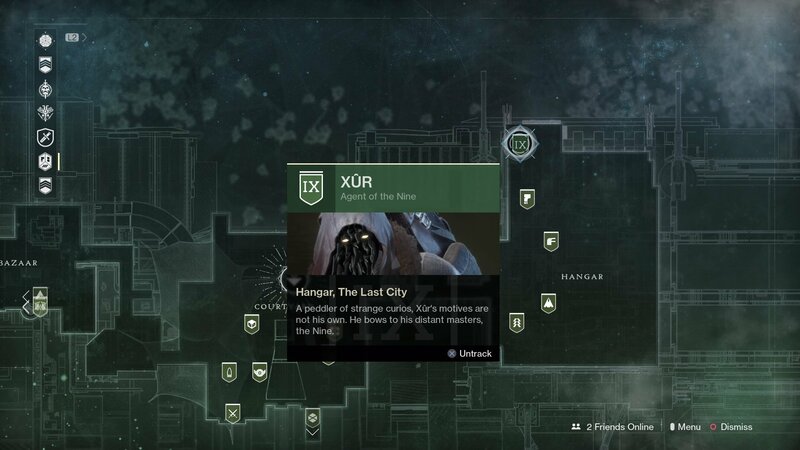 Xur reappeared on January 19, and will be in the Hangar area in the Tower until January 22. Making his second appearance in 2018, Xur has appeared in Destiny 2 again, and will be hanging around from January 12 to January 15. You can find Xur in the EDZ, just around the Winding Cove area. 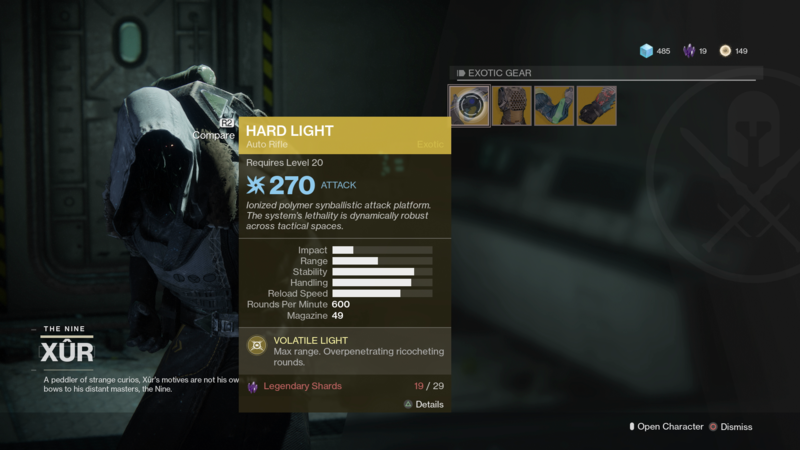 Xur is also selling the Three of Coins consumable for 31 Legendary Shards, which up your chances of getting an Exotic Engram, and the Fated Engram for a steep 97 Legendary Shards. Making his first appearance in 2018, Xur can be found on the planet of Io, just north of the Giant's Scar landing zone. 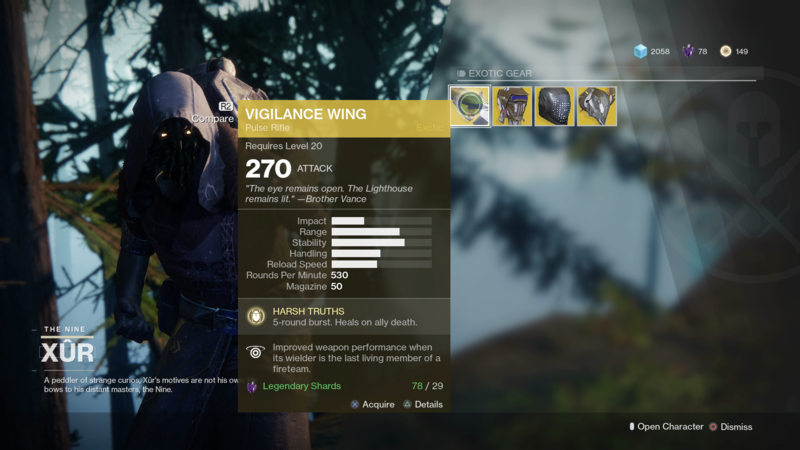 Xur reappeared in Destiny 2 at the same time as always, on December 15. Xur remained until December 18, when the weekly reset occured in-game. That weekend, Xur was in the Tower, in the Hangar behind where the Factions usually are. Since Xur appeared last week on the planet of Io, and the week before on the planet of Titan, he appeared on Earth on the morning of December 1, just north of the Winding Cove landing zone. 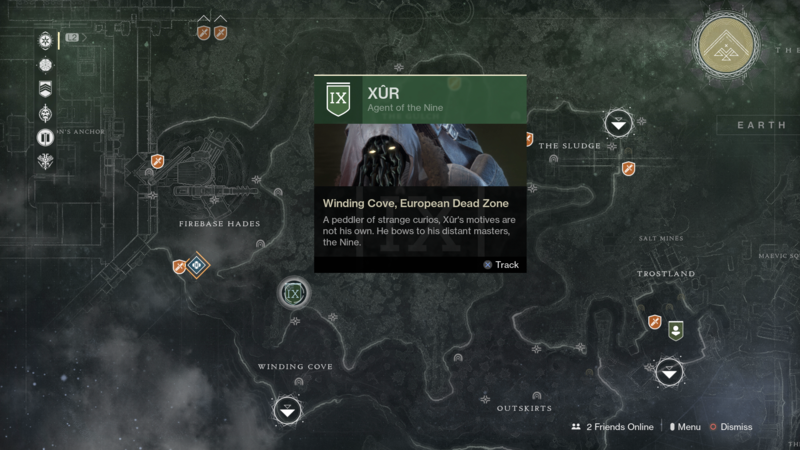 On November 24, Xur appeared on the planet of Io, just north of the Giant's Scar landing zone, in a small, dark cave. Having recently completed his tour of the four planets over the last four weeks, Destiny 2's Xur appeared on the planet of Titan, just east of the Rig landing zone. You'll have to jump down onto the very edge of the rig platform, before heading back inside a tunnel to reach Xur. 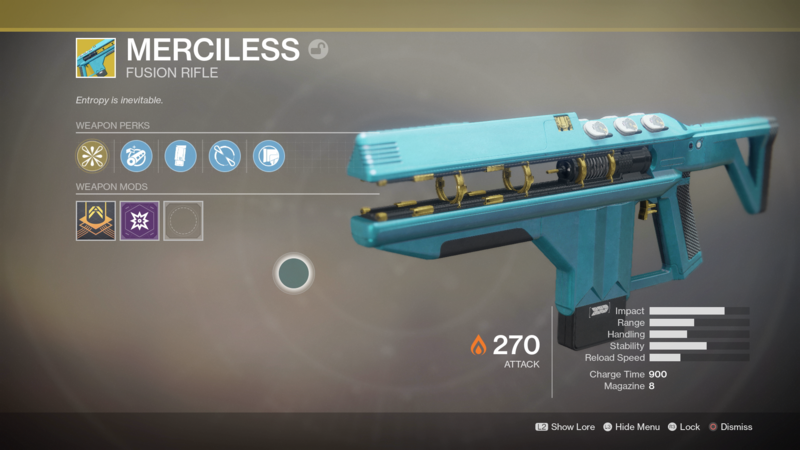 Having recently appeared on Earth, Io, and Titan, Xur appeared on the planet of Nessus, just north Watcher's Grave landing zone. This wasn't the first time that Xur has been found in this exact spot, so if you've visited him before on the planet, you'd know exactly where to find him. Just below, you'll find a complete list of all the Exotic weapon and armor items that Xur was selling, from November 10 through to November 13. 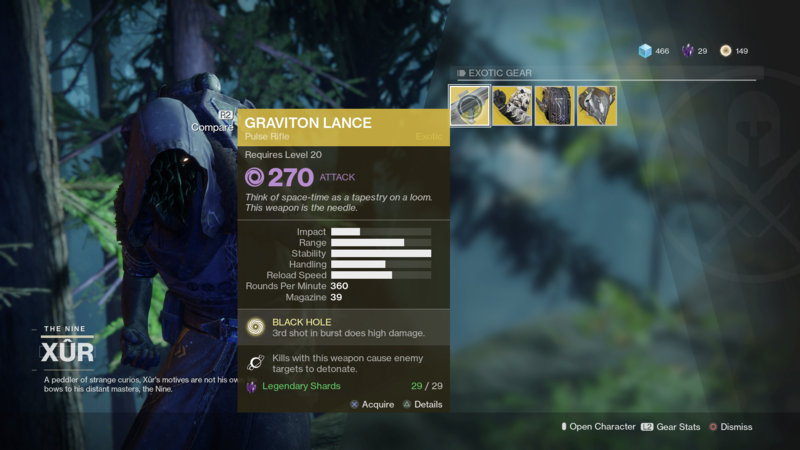 Destiny 2's Xur returned once again, except he chose to reappear an hour earlier than usual on November 3, for unknown reasons. You can see just below where Xur could be found on planet Earth, just north of the Winding Cove landing zone. On the morning on October 27, Destiny 2's Xur reappeared on the planet of Io, just north of the Giant's Scar landing zone. 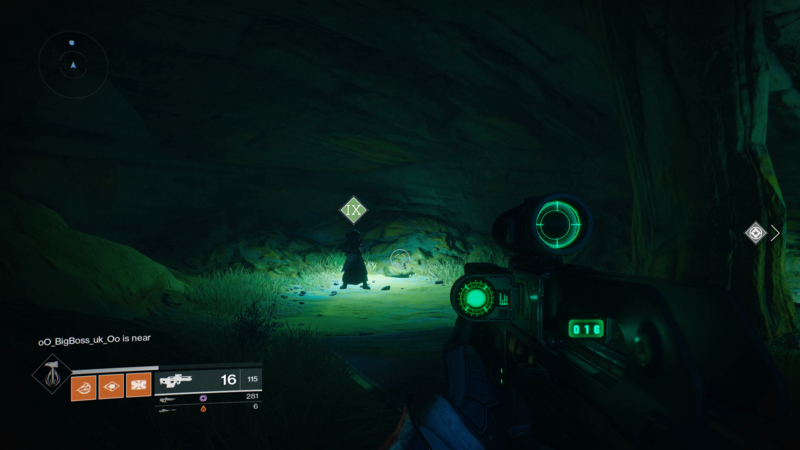 You can see Xur's location in the screenshot just below, and he can actually be found just inside a cave, past the base containing Vex and Taken soldiers. But what was Xur selling? 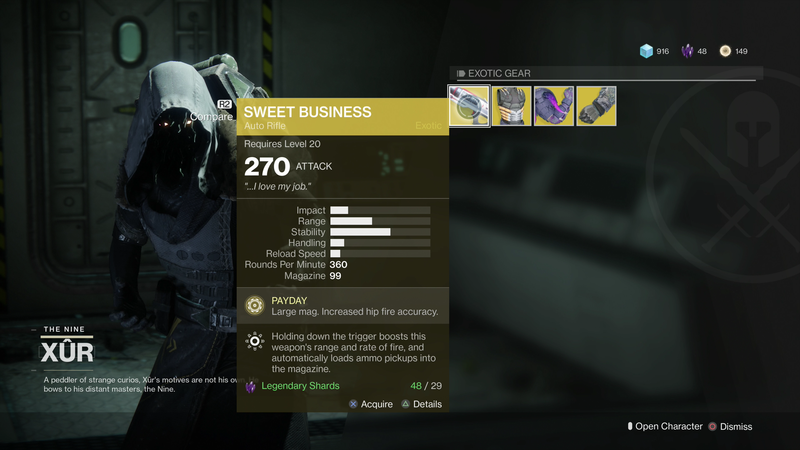 You can see the complete list of all the Exotic weapons and armor that Xur was selling just below, along with the exact amount of how many Legendary Shards each item will cost. On October 20 through to October 23, Destiny 2's Xur could be found on the planet Titan, located just east of the Rig landing zone. 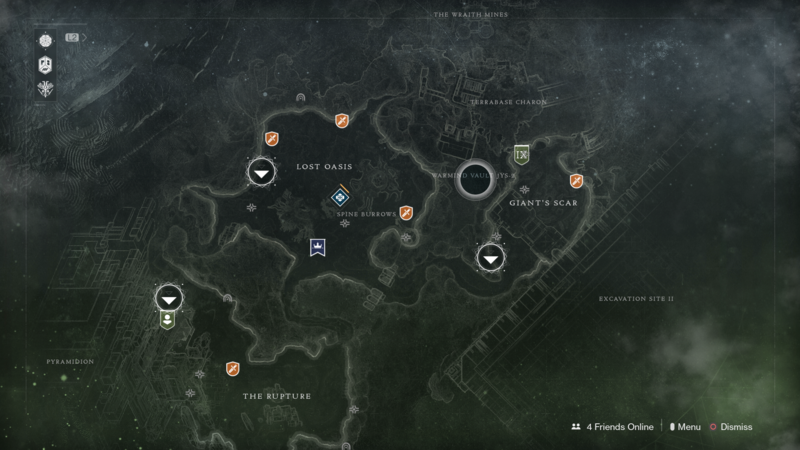 You can see in the screenshot just below exactly where to find Xur. 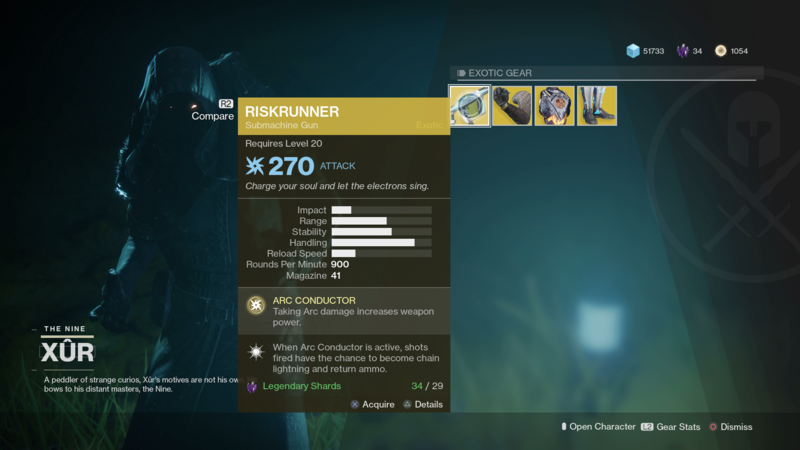 As for all the Xur Exotic items that you can expect to get your hands on over the few days, you can find a list of them just below, as long as how many Legendary Shards they'll each cost you. 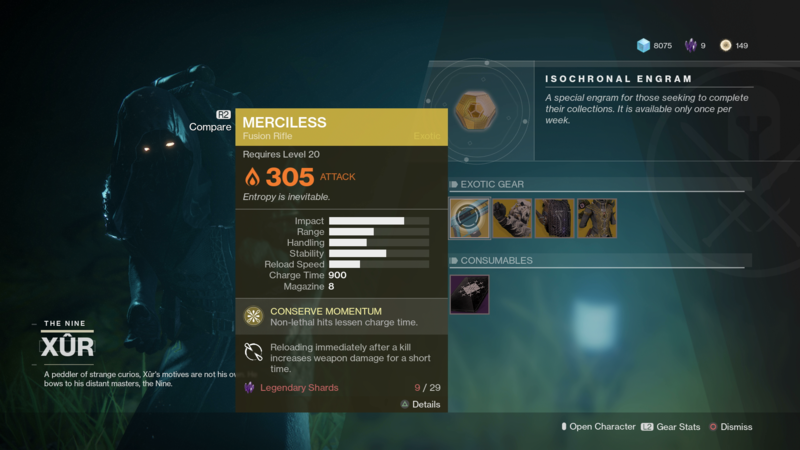 From October 13 through to October 16, you could find Destiny 2's most elusive merchant on Nessus, just north of the Watcher's Grave landing zone. Xur is exactly where he first appeared back in the second week of Destiny 2. 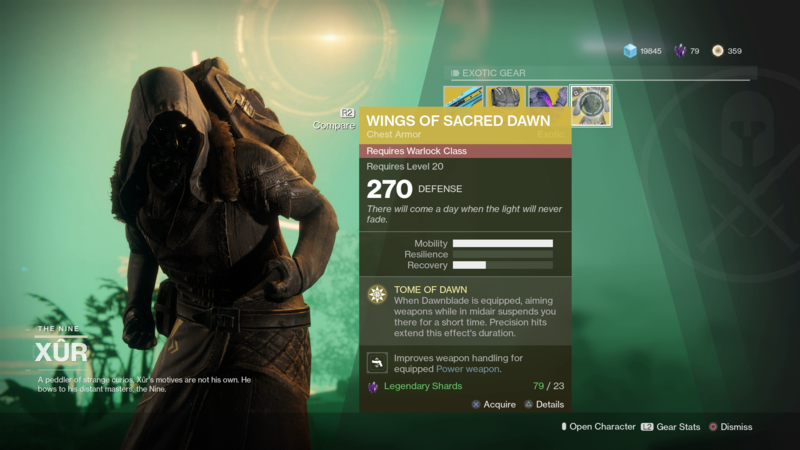 Xur could be found selling all the Exotic weapons and armor items just below, and we've also listed how many Legendary Shards each item would normally cost. 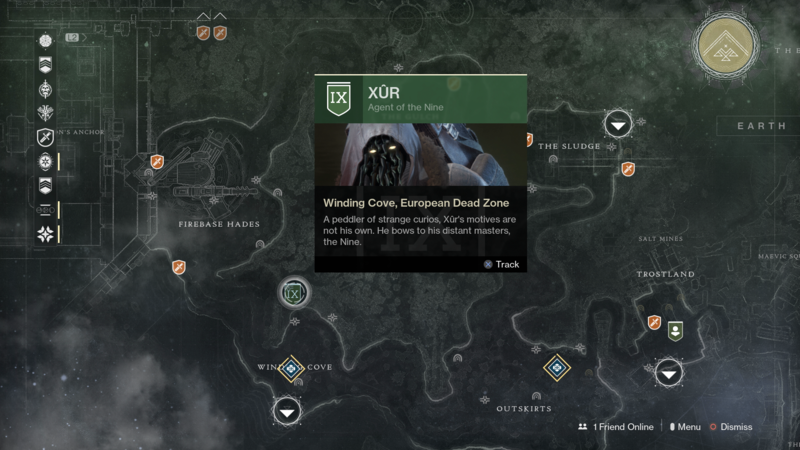 From October 6 through to October 9, Xur could be find tucked away near the top of a small clif in the European Dead Zone. He was right near a crashed Fallen ship, which required some platforming up the face of the cliff to reach. As for the Exotic items that Xur was selling from October 6 through to October 9, you can check out the complete inventory just below, as well as the amount of Legendary Shards that each item was being sold for. 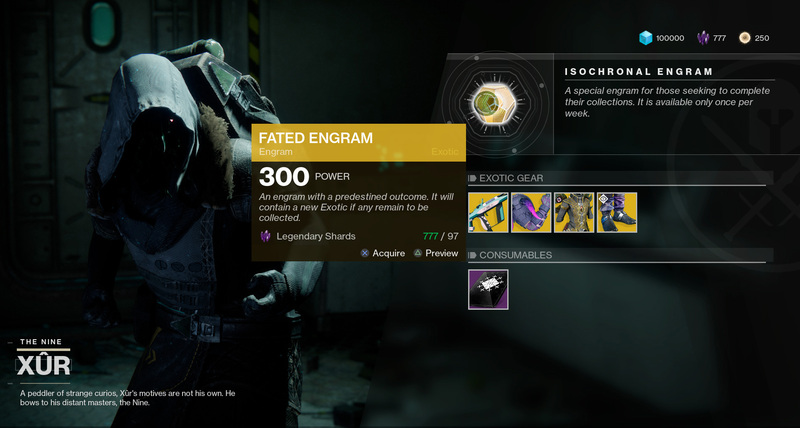 For the period of September 29 to October 2, Xur reappeared on Io, carrying a brand new load of Exotic goods. He appeared at the usual time of 10am BST/2am PDT/5am EDT on Friday September 29 and will disappear in the very early hours of Tuesday, October 3 (it's very early, so really you need to be visting no later than the 25th). 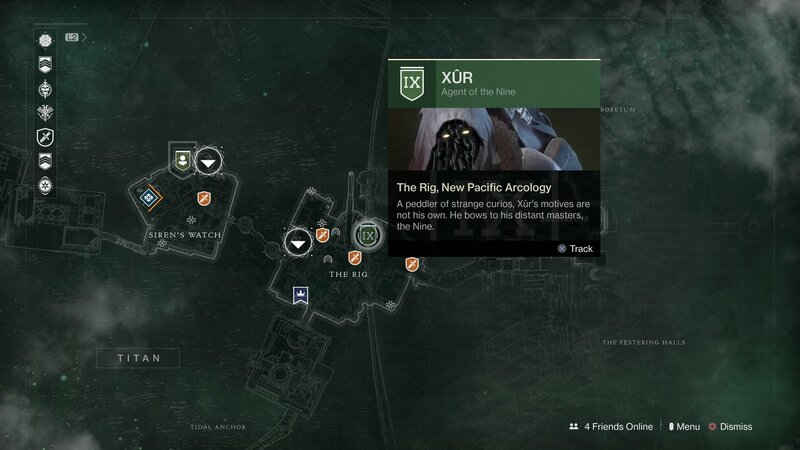 Check just below for the screenshot of exactly where to find Xur on Io. He's hiding out in a small cavern this time, accessible once you've made it past the enemy base near Giant's Scar. Xur can actually be found in a small cavern on Io. These are the items that Xur was previously selling to players from a rig on the planet Titan. 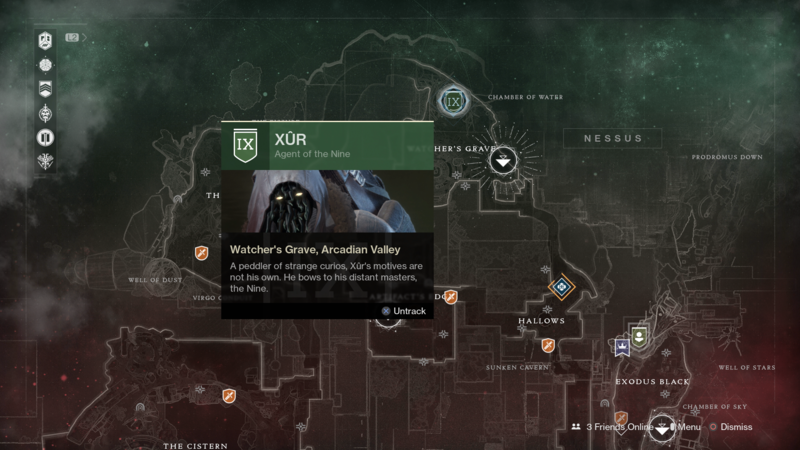 Previously, the Xur location for September 15 to September 17 was on Nessus, located in the Watcher's Grove section of the planet. This all changed once the weekly reset came around on Tuesday morning, and Xur vanished from the location, not appearing again until the following Friday. 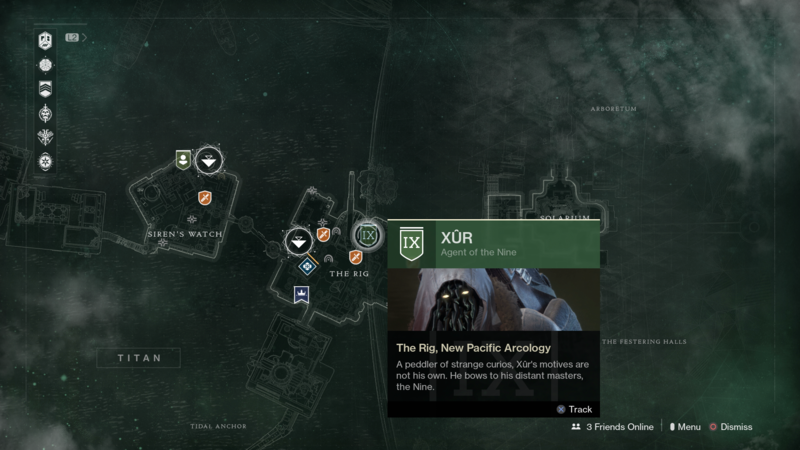 This will happen each and every week, so keep your eyes on this guide for when we reveal Xur's location for September 22-26. 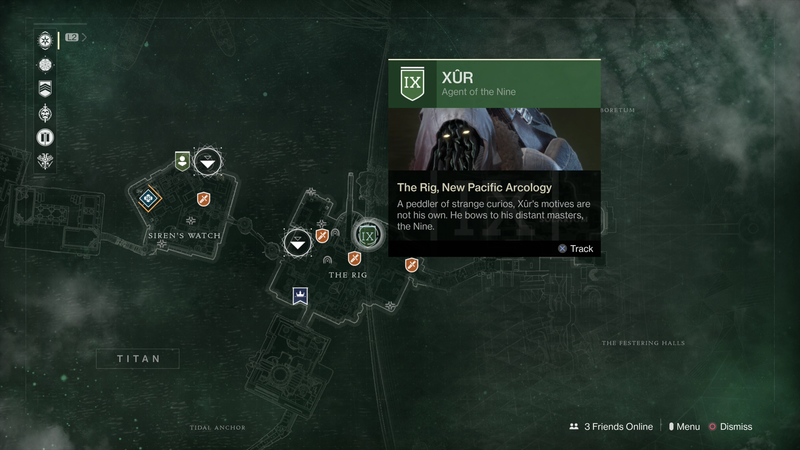 Just below, you'll be able to find a list of all the Exotic items that Xur was previously selling on September 15-19. 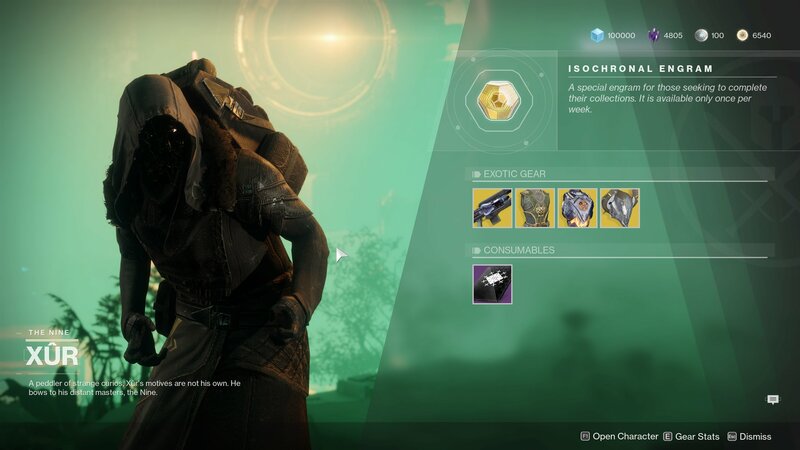 Whether these items will appear again any time soon in Xur's inventory remains to be seen, but we'll keep this section updated to include Xur's latest items the moment he reappears on September 22. We've got loads more Destiny 2 for you on USGamer. Check out our Destiny 2 Crucible Guide. 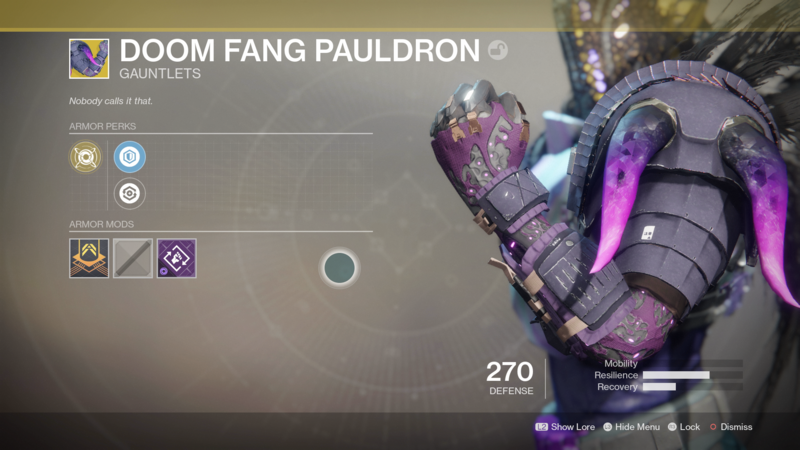 We've got a look at exotic weapons in Destiny 2 (including how to get the Rat King in Destiny 2 and how to get the Mida Multi-Tool in Destiny 2) and exotic armor.